It just so happens that today the “Invincible” album was certified double platinum in 2002. It was a coincidence that just last night I watched the “Invincible” signing event in at the Virgin Megastore in New York just weeks after 9/11. Michael wanted to show the support and once again, give what he could – himself – to the people of New York, the people who had been through so much during this horrible moment in history. He wanted to lift them up and perhaps give them hope, something he always did for his fans when they needed him. There were 500 fans in line and many times through the event, the coordinators would say “Michael we have only gone through 64 people, we have 500 in line, stop being so nice, I’ll be the bad guy”. That was MJ, talking, shaking hands when asked and asking fans that were in tears if they were “okay”. You could see he was tired and had a bad cold, but he sat for hours signing more than 500 CD covers as well as personal pictures etc. What amazed me about this event was that he was there for so long, my understanding is longer than 2 hours, the most time spent by an artist signing CD’s and how he treated the fans that were waiting. There were a few that pulled on my heart-strings, one young man who was a large man, you could see it was difficult for him to walk, let alone stand for 2 hours in line and while Michael was signing CD cover after CD cover he looked about this man and smiled at him, shook his hand and said, “hey, how are you, what’s your name?” Michael signed the CD specifically to him and the young man thanked him and walked away. Michael kept signing for the next fan, but kept looking up to see the man walk away. 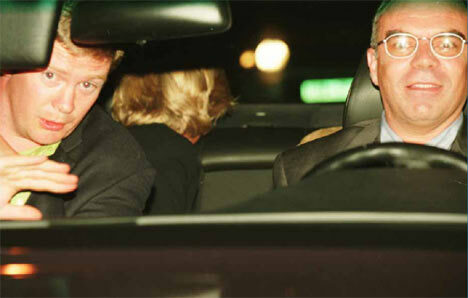 He turned his head and whispered to Frank Cascio who was sitting behind him, “that makes me cry”. I feel it meant that this man waited in line for 2 hours to see him and it showed me how Michael appreciated it. It showed me how much the fans and what they did for him meant to Michael. I was also taken by the number of men who were weeping and just wanted to shake his hand, I don’t know of any other celebrity that have that kind of draw and emotional pull with their fans. I urge everyone to watch the signing event and see the little things that MJ did; the child dressed up like Michael to a tee and see the look on his face as well as the appreciation he showed the mother for making the outfit; the girl who asked Michael to marry him and he put the ring on; the girl who had a belly button ring and he wanted to know how it was done, and if it hurt, and the girl who had the beautiful jacket with a picture of MJ on the back which he adored and wanted one for himself. He interacted with as many fans as he could, I really think he would have talked to each and every one of his fans had the coordinators not pushed him to keep him on a timeline. This event to me, epitomized what Michael was like to his fans, and how they interacted with him. They loved him and he reciprocated ALWAYS. I’d like to welcome author, artist and humanitarian Siren back with us to talk about her new book “The Seven Virtues”. Siren is well-known within the community and her beautiful work speaks for itself. 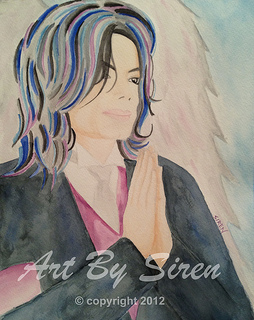 I have always said that Siren captures Michael’s aura and am a big fan. Please view my previous interview about her book “Art and Soul: A Spiritual Journey” here and my review of the book here . I think everyone can probably notice from my logo that Siren was the one that painted and designed it and am so grateful for her talents. Welcome back Siren, I would like first to thank you for speaking with SGAA and to let you know that “The Seven Virtues” and “Art and Soul: A Spiritual Tribute” is sitting by my bedside table so I can read and reread it. Siren: I’m humbled and so happy to hear that. Thank you. Why did you create this second book and how did you come up with the idea? Siren: Actually, “The Seven Virtues” evolved on it’s own, and was not created with the initial intent of becoming a book. It began with a gift of seven blank canvases, given to me by a friend. For some reason I felt that because they came together, that they should remain that way, and decided to use them to do a grouping of related paintings. As they were being created, I mused about what to title the series, when the concept of the seven virtues came to mind. I really had no idea what the seven virtues were so I had to research them, which is when I discovered their meanings (courtesy Wikipedia) and how profoundly they mirrored the qualities that Michael demonstrated in his own life. I felt like I was reading his biography. How long did you spend on “The Seven Virtues”, from inception to publishing? Siren: It’s hard to say… I invest a huge amount of hours into my paintings. Once I start one I am pretty committed to it… I basically devote all my time to it until it’s complete. To do seven at once was quite an undertaking. I’d guess the paintings took over 200 hours in total to complete. It felt good when they were finally finished. The book itself came together more quickly of course, as it was just a matter of layout and design. I wanted to keep it as simple as possible so as not to detract from the artwork, but you will notice the sketch outline for each painting is included as a backdrop behind the definitions. The intent is to suggest how the creation of a painting in it’s commitment, faith, and sacrifice, is much like the development of the soul, and that enlightenment and true beauty are the result of an evolution that materializes from within. I love how you have used Michael’s “Scream” look for each virtue but each picture has MJ with different, beautiful expressions. Why did you choose “Scream”? Siren: There is something about “Scream” that pulls me. 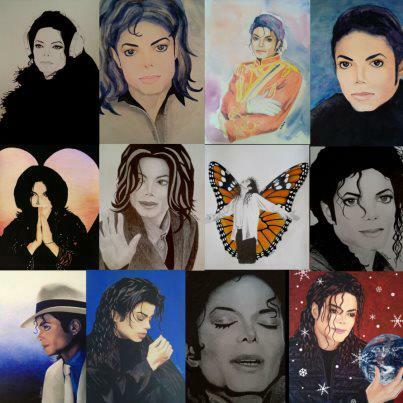 It’s very expressive, and somehow spiritual… and of course Michael is extremely beautiful. His energy is so palpable and his lines have such fluidity and softness. I find it irresistible. When I read through the book, Michael’s expressions match exactly what the virtue is, I commend you for getting it perfect. Was that a difficult thing to do? Siren: I had already decided upon and sketched the outline of all seven images before I discovered the seven virtues, so the fact that the definitions expressed themselves within the paintings was the work of something other than myself. Personally, I think that art is essentially a Divine expression, and that is ultimately what I believe is responsible for mine. I don’t really understand how emotion becomes visible in art. That is the element that intrigues and excites me the most – that simply connecting with the energy of what one is creating causes it to take form within the work. I love how Michael describes this in his poem “God” from Dancing The Dream: “My songs and dances are outlines for Him to come in and fill. I hold out the form, She puts in the sweetness.” What a romantic way to explain the process. It’s what it feels like for me exactly. I know that you constantly sell your artwork and now books on your website but can you tell us where most of the profits go? Siren: Well up until now I have been selecting different charities quarterly. I love to support organizations within the fan community, but currently I am working on a charitable project of my own which will ultimately become the direction of my future proceeds. I will be revealing the details of it soon. It’s something very close to my heart, and Michael’s too, so I am excited about it. That sounds wonderful, and can’t wait to hear more about it when you reveal your new idea. How has Michael inspired you in your artwork? Siren: Wow… that’s a book all by itself. Michael is the reason I paint. He is my inspiration for everything. To me, he is the completeness of what we all should aspire to be. Michael made enormous sacrifices with the pure intent of changing the world through Love and Creativity. His example is meant to inspire us to seek, to believe, and to become. I want to follow that example in every way possible… including devotion, expansion, authenticity, and the pursuit of perfection in my artwork, and in everything that I do. I am indebted and extremely grateful to him. He changed my life. You have decided to publish this book in different sizes, why did you take this approach? Siren: Ideally, the book should be large format, because it really is about the paintings (unlike my first book, which is intended to be a presentation of my journey), but unfortunately my publishing costs for “The Seven Virtues” is very high, and so the price has had to reflect that. I decided to make it available in a smaller size so that it would be more accessible. Well, the quality of the book speaks for itself. 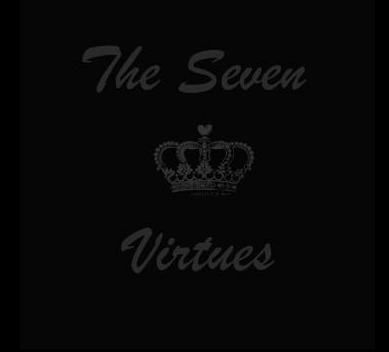 “The Seven Virtues” has a very simple, yet beautiful cover, it is black with the title and a crown, why did you select this cover? Siren: I wanted the cover to have a serenity and softness to it that would reflect the nature of the content, yet still make a statement. The crown is representative of more than the obvious “King Of Pop”, but is intended to symbolize what I view as Michael’s greater position on our planet as both a leader and protector of humanity. It’s what I believe he was here for, and certainly how he lived. I wanted to acknowledge that. It’s what “The Seven Virtues” is all about. 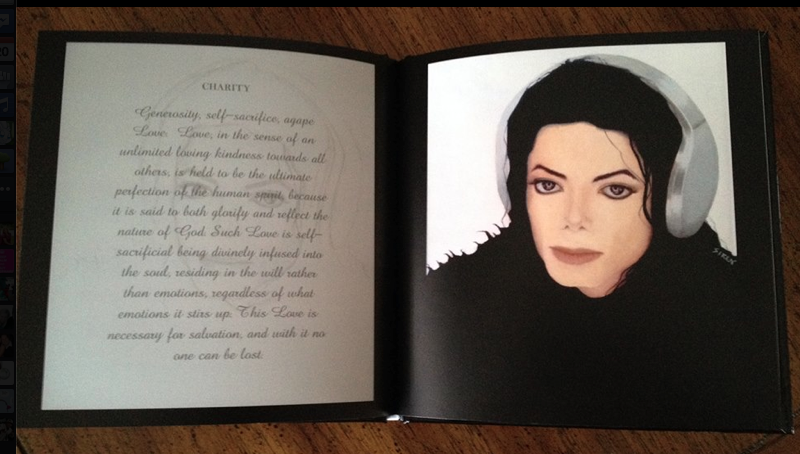 Well, I urge everyone to go out and buy Siren’s book(s), they are wonderful gifts and perfect not only for MJ fans but for anyone who loves great art. Siren truly is a beautiful spirit. Thank you Siren once again for speaking with me. Siren: Thank you so much for inviting me to talk about my art with you. I am so grateful for your time and interest. Major LOVE. You can purchase “The Seven Virtues” and “Art and Soul: A spiritual Journey” plus all Siren’s artwork on her beautiful website and get more information on her Facebook Page. Below is the email response I received from Channel 5 regarding a letter I wrote them about their “Autopsy” Series which I spoke about on this post. I am not surprised at this “cookie cutter” response, they hide behind the UK’s OfCom Broadcasting Code, which allows them to determine just about anything without breaking this code. It is always done and this is nothing new. They unjustly determined Michael’s “drug problem” by the pills that were in his room and by the testimony of a known liar, Jason Pfieffer. Michael was murdered by Conrad Murray and his misuse of Propofol. Nothing else! Channel 5 will continue the next program of this series with Anna-Nicole Smith on January 21. This is not only about Michael , but about other wonderful human beings who have families and friends and fans that love them. I hope we all let our voices be heard and let Channel 5 know that this is a degradation to Michael Jackson, Whitney Houston and Anna-Nicole Smith. May they Rest in Peace. You can contact Channel 5 and directors, producers, etc here and at the bottom of this letter. 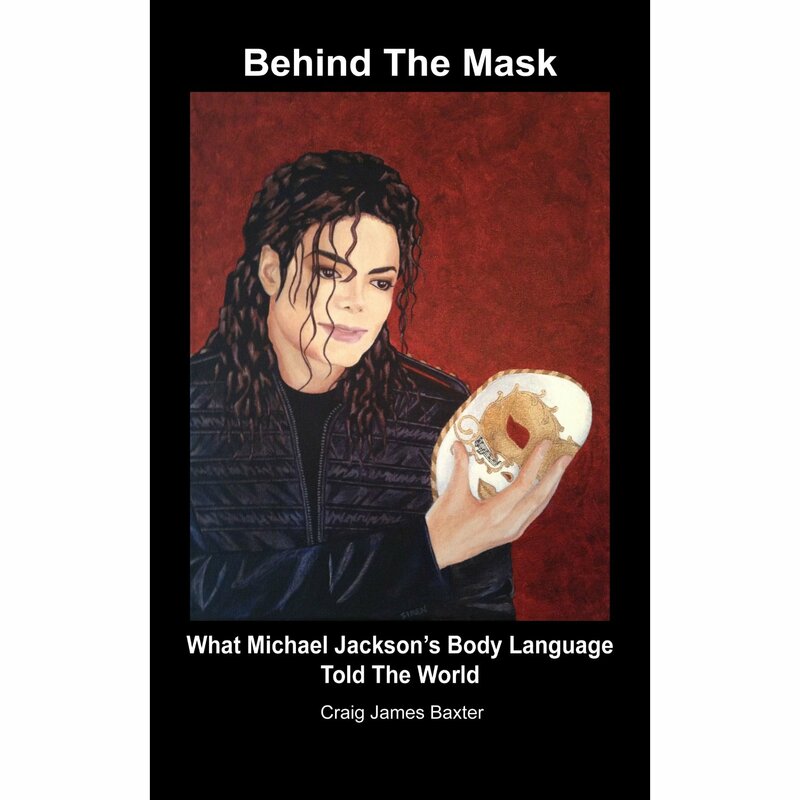 Thank you for your recent e-mail regarding Autopsy: Michael Jackson’s Last Hours. 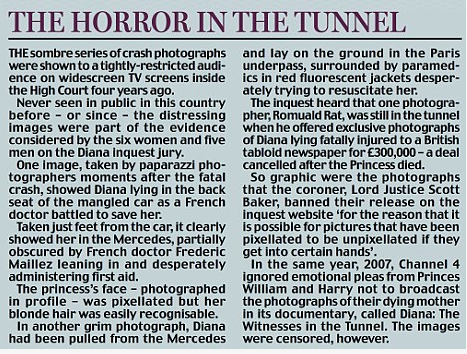 Channel 5 is sorry that you did not think that it was appropriate for this programme to be broadcast but hopes that now it has been transmitted you can agree that it was a factual documentary which dealt with the subject appropriately and fairly. Michael Jackson, perhaps undeniably, is one of the great figures of popular culture in the western world. His death was tragic and unexpected. Given these incontrovertible facts, it was clearly in the public interest to explore the medical facts and to throw light on what might have caused his tragic early demise. You will have seen that the basis of the programme was two-fold: the facts which arose from the autopsy were revealed and examined and, secondly, Dr Shepherd provided his expert opinion about what those facts may have meant, given other facts from Mr Jackson’s life. So, as the autopsy stated, Mr Jackson suffered from osteoarthritis and had significant damage to his lungs including multifocal fibrocollagenous scars, marked diffuse congesting and patchy haemorrhaging and marked respiratory bronchiolitis, histiocytic desquamation and multifocal chronic intersticial pneumenitis, plus three other lung conditions. On any view of it, this represented poor health in relation to Mr Jackson’s lungs. However, the programme made it clear that, apart from issues with his lungs, in general terms Mr Jackson’s health was quite good for his age. In the programme, Dr Shepherd theorised about whether or not the cause of Michael Jackson’s lung damage was lupus. This was something he was entitled to do and his theory was backed up by medical and anecdotal evidence, all of which was clearly explained in the programme. The question of Mr Jackson’s relationship with opiates or opioids is more difficult, but the programme was clear and scrupulously fair in dealing with this issue. 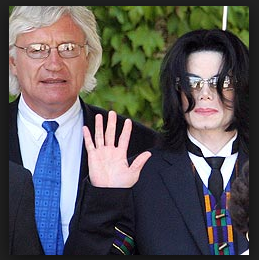 It informed viewers about various testimonies on this point: Jason Pfeiffer, the office manager of Albert Klein described regularly admitting Michael Jackson to a Dermatologist for injections of Demerol; during his trial, Conrad Murray explained that he had been giving Mr Jackson propofol for sixty straight days; Mr Jackson’s body was found to contain three different types of benzodiazepans; and the criminal investigation found large quantities of these in his bedroom. The programme made no claim that opiates or opiods were found in Mr Jackson’s body. However, it was not unfair for the programme to argue that the discovery of multiple benzodiazepans in his body, in conjunction with the many pill bottles also containing benzodizaepans in his bedroom (for intravenous and oral use) and his witnessed long term use of demerol and propofol suggested that Mr Jackson did, indeed, have a drug problem. This was extensively documented in the trial of Dr Conrad Murray. Channel 5 believes that the broadcast of the programme was entirely in accordance with the Ofcom Broadcasting Code. Nevertheless, we are grateful to you for taking the time to contact us with your concerns and your comments have been noted for the attention of all relevant personnel. MJ: A Legacy of Pure L.O.V.E. As the trial begins between AEG and Katherine Jackson, we must remember one thing and one thing only, something that Michael spread like wilfire and believed every single person needed and wanted; L.O.V.E. The media, AEG, and other riff raff will desecrate and dissect his life, his integrity and personal issues that no one should be subjected to whether living or dead. 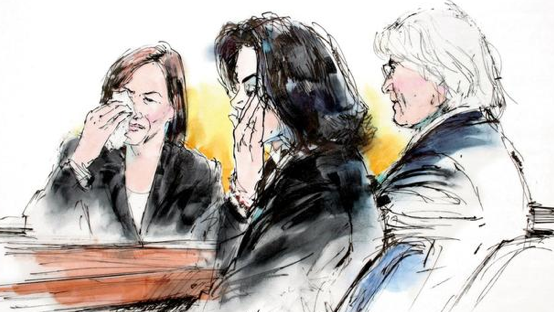 SGAA has remained silent during the jury selection and the media coverage that followed because we were waiting to see what was in store for Michael Jackson and his children. 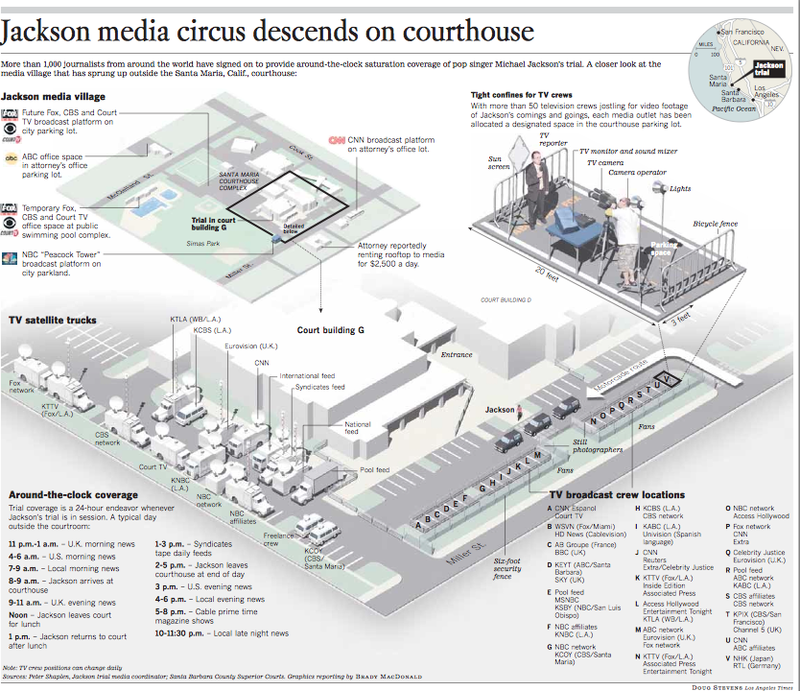 We now see there is no escaping the horrors that will be brought out through, depositions, witnesses, and the press. 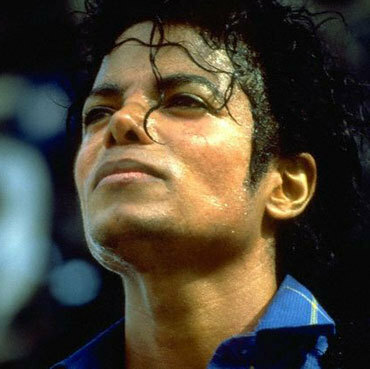 Michael always deflected negativity and very rarely spoke out about all the trash and false accusations that he lived with his entire career, he felt that the accusers just needed more love. The sharks (and they know who they are) are slowly biting down on Michael integrity, his honesty, his pureness, and everything else that made him who he was to all of us. Pure LOVE. During this trial we urge all of MJ fans to stay calm and keep our integrity when posting, tweeting, and making any comments on social media. We have been known as “rabid, crazy fans” due to a few black sheep in the community who have brought the entire Michael Jackson fan base down with their false accusations and their bias tweeting of personal opinions while destroying anyone in their path who disagrees. This was never Michael’s way and we at SGAA believe he would be disappointed in the actions many have taken who he believed cared for him and loved him. The media you can be assured will have their part in this degradation and we must deal with them the way Michael did his entire life, with his words and his music. Using quotes and music will heal us and help us in the long days ahead. 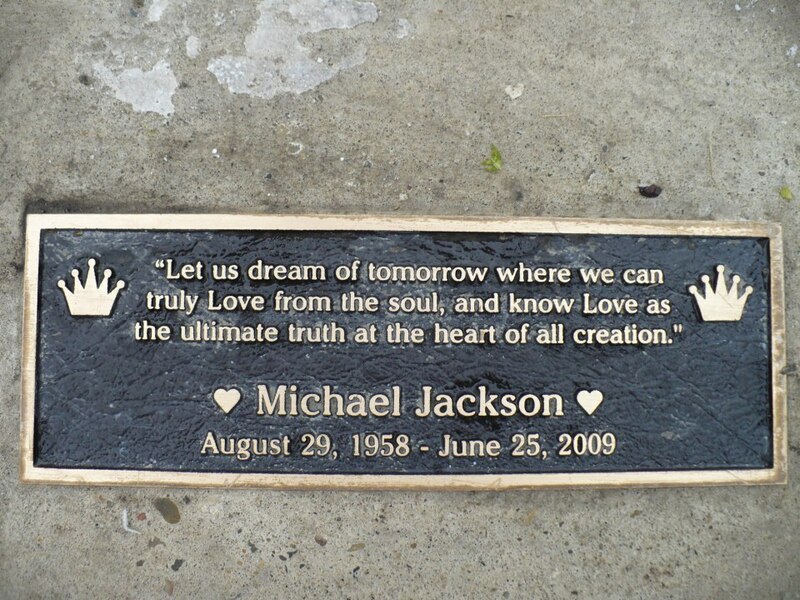 Pictures, loving thoughts and memories will ease our pain and most of all MJ’s love will keep us together. Michael brought only light towards him and others. You can see it in his eyes, his smile. MJ had an aura. Everyone who knew him said he was other worldly and we believe this to be true. This trial will never diminish that. Michael may be eaten by sharks in the courtroom, but we will raise him eternally with our words, our love and our integrity. Let’s use the power of our hearts and the social media, let’s show everyone who he really was and is. A genius, a humanitarian, a lovelight worker and most of all we believe his legacy is one of pure L.O.V.E. Stop Global Airwave Abuse is very excited to unveil our brand new logo. We are extremely proud of it and would like to give a very heartfelt thanks to our dear friend and artist Siren for her help in designing and painting this. 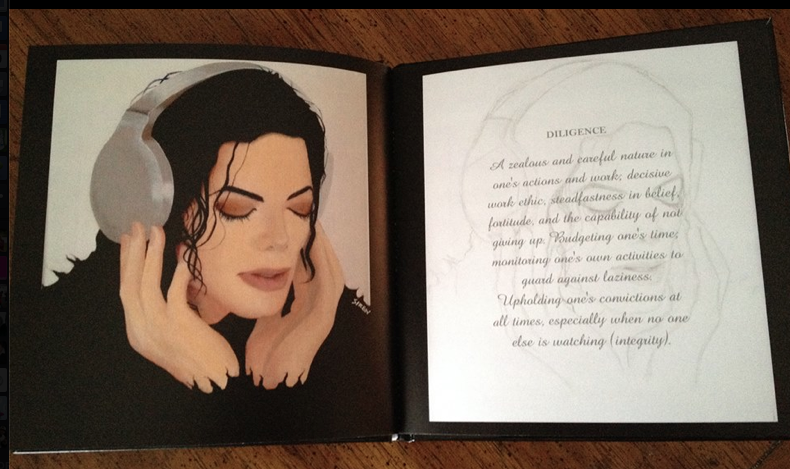 Michael is drawn in graphite and the globe is painted in watercolours. Her work is incredible and her heart and love for Michael is insurmountable. You can see Siren’s artwork here and read her interview with SGAA here. This logo represents everything SGAA represents. Michael in his famous pose from “Scream” noise blaring from his earphones with the earth/globe behind him. 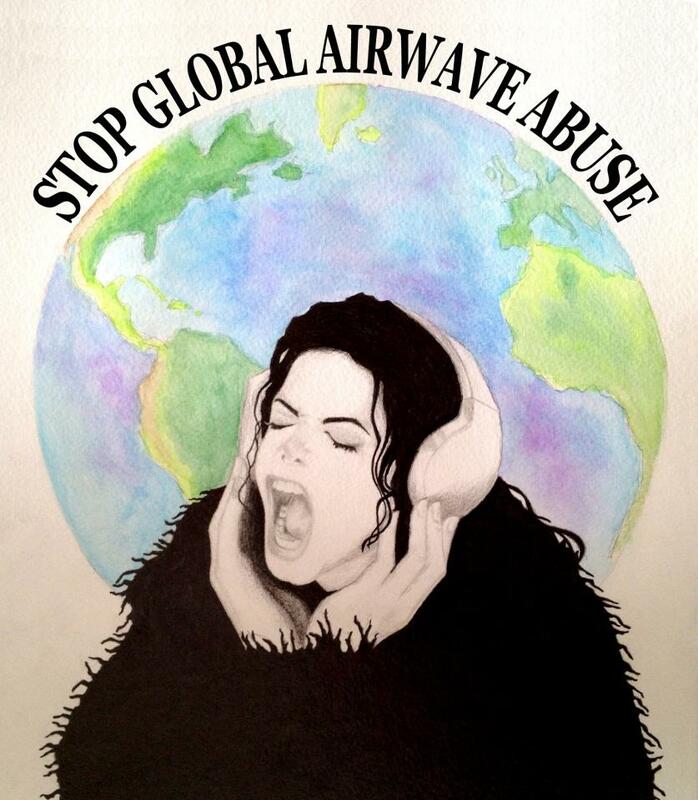 We will continue to fight air wave abuse, whether it is print, radio or television with all the love for Michael in our hearts. Hence, we will also support the airwaves when journalists portray individuals in a respectful and truthful way. 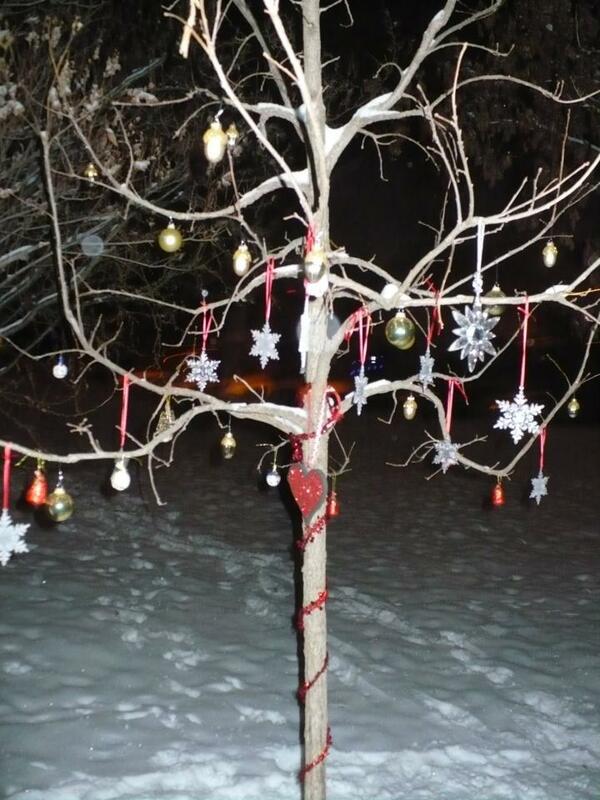 We will raise Michael Jackson up so that his truth, love and light shine globally. Thank you Siren for helping us reach more people with one beautiful picture. The most obvious and well-known meaning of the red rose is deep love and affection and symbolizes true love that would stand the test of time. Staunchly promising affection that is forever riding high is what the red rose means. The red rose denotes a true love that is stronger than thorns and can outlive all obstacles. Michael Jackson obstacles were great but he persevered and amid his trial and tribulations he received many flowers which he accepted with love and gratitude that he always had in his heart. Whether it was two dozen or one single bud, he understood the feelings behind each bloom and the power of this demonstration of LOVE. 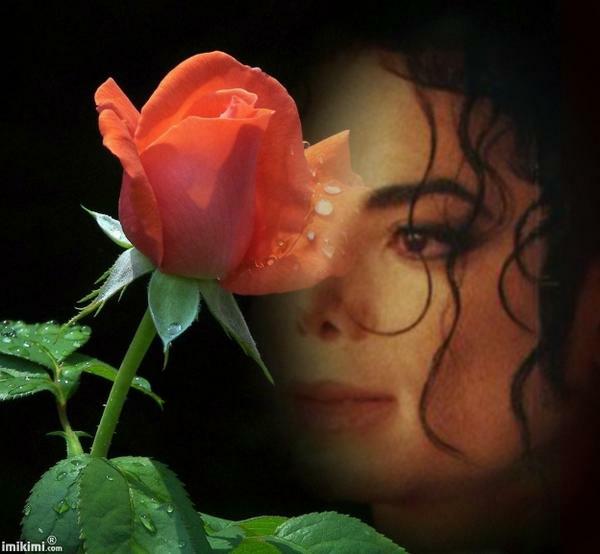 It is truly a beautiful thing that the OneRose4MJJ annual campaign continues to send Michael these flowers of love from the entire MJ global family whose hearts are filled with respect and only love for Michael. Most, cannot be at Holly Terrace personally but wish to spread the love of Michael with these lovely roses to let him know they are with him. In cooperation with MJJJusticeProject, Stop Global Airwave Abuse will be giving heartfelt pledges and are encouraging any other groups or individuals to pledge a certain amount of monies for every 1000 roses sent to Michael with all the love attached to each stem. We encourage other groups who wish to support Michael’s mission in life which was to help children through acts of charity and research of medicine and immunization throughout our world, to join us in this endeavor. The massive amounts of roses sent to Holly Terrace is not only an expression of love from each fan but also a great display to the world that this man, our beloved brother, influenced a mindset of global brotherhood, tolerance and acceptance. If you are interested, please leave a comment here with contact information, amount pledged per 1000 roses and capped amount and we will add your name to our list of Pledgees. We shall also pass your information onto OneRose4MJJ OR you may contact Robyn S. or Sarrah N. directly to make arrangements for your participation. If you rather just make a one time donation to any of these charities as a tribute to Michael Jackson, please do so by clicking the links above.